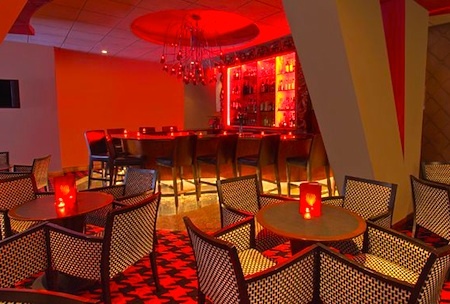 The Kimpton Onyx Hotel Boston, an upscale boutique hotel featuring stylish red and black decor, offers a convenient location near Boston's TD Garden sports and entertainment center, all the lively nearby nightlife, and Faneuil Hall Marketplace. 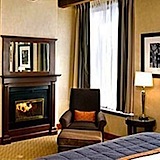 One of the top Boston boutique hotels, the Onyx's West End location almost next to TD Garden puts it a few blocks to the north of downtown Boston - about an 8-10 minute walk, depending on where you are going. 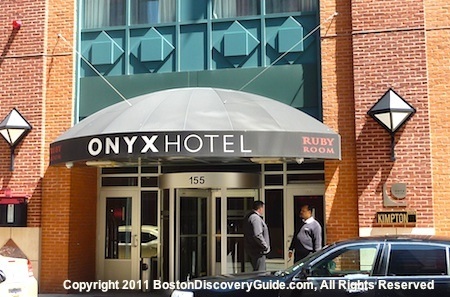 If you're looking for a downtown Boston hotel but also want to be near Faneuil Hall Marketplace and all of the surrounding clubs and other nightlife, the Onyx is a great option. You can easily walk to North End, Beacon Hill, and the Museum of Science located several blocks away. 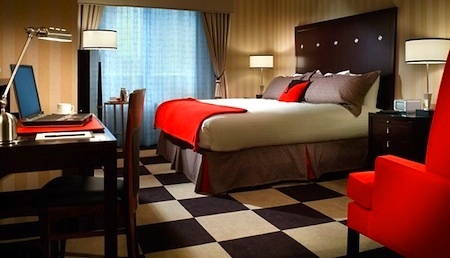 And like other Kimptons, the Onyx Hotel ranks high among pet friendly hotels in Boston. 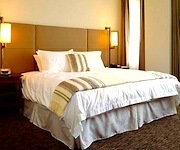 The Onyx is also in an excellent location if you're looking for hotels near Boston's Government Center complex or nearby Massachusetts General Hospital (MGH). 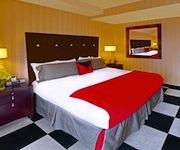 Special packages - Onyx Hotel Boston usually offers attractive discounts and special packages. Recent offerings include "Sports FANatic," "Stay in Love," "Stay & Save - 20% OFF," and more! The Fours (166 Canal St) - The ultimate sports bar, named in honor of legendary Bruins player Bobby Orr (#4); also serves tasty pub food - excellent place for a casual dinner if you want to watch a game on the big screen. McGann's Irish Pub (197 Portland St) - Excellent Irish and American pub food, plus plenty of big screens and occasionally live Irish music in the evenings. Saus (33 Union St) - Belgian waffles and fries with addictively good sauces - doesn't get better than this! From Saus, you're only a few steps away from Faneuil Hall Marketplace, where you'll find plenty of restaurants and a Great Food Hall. A couple of Boston's oldest historic restaurants including Union Oyster House are nearby. Faneuil Hall Marketplace - Shop, dine, enjoy the entertainment! Boston's North End - Don't miss the fabulous Italian and seafood restaurants!